Holds 600 photos Displays five photos per pageSize: 365mm*345mm Horizontal display Weight: 3.3 lbs. 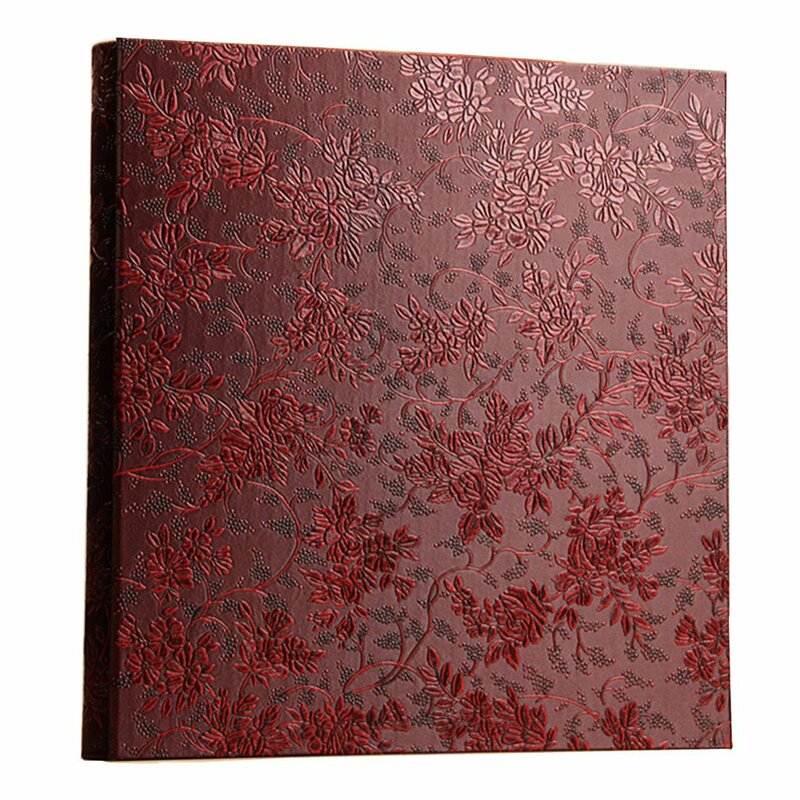 ★★★★★ Very nice leather photo albums. They come with room for 400 4 x 6 photos. Not 600. The albums are expandable, so they may be able to hold up to 600 with more pages purchased. Still very happy with them, as they are beautiful albums. ★★★★★ I really really love this album, at first I thought it was very big but then when I started putting photographs inside it was perfect and it is such good quality and super rugged.. looks good on the coffee table just to look at ! ★★★★☆ Very large, (which I expected), we’ll made, holds 600 pics as described. Slots are definitely bigger than 4x6, but it doesn’t cause the photos to move around much. ★★☆☆☆ I tried the other covers of this type, but this one included some defective album pages. The side pockets were not closed on maybe 10 pages on the front side of each. The rest of the album pages were wrinkled. The other albums in this series (different vendors) all had nice album pages. For the price, it’s still a good deal.